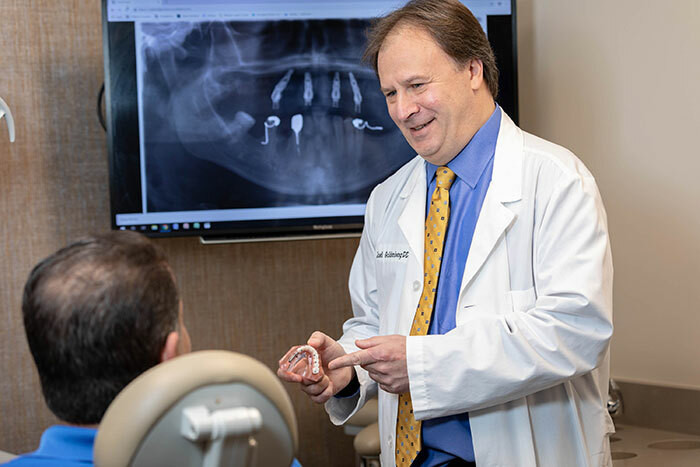 Whether you are receiving a single dental implant or a replacing a full arch through the All-on-4 system, we follow the same protocols and use the same technologies to ensure your surgery is safe and successful. As a leading implant practice in New York, NY, our office has the advantage of housing every dental specialty, so everything from tooth extractions, implant placement, and the creation and placement of restorations is done in-house. We want to be absolutely transparent with our patients on what to expect with dental implants in New York, NY, and have outlined the steps you will go through. 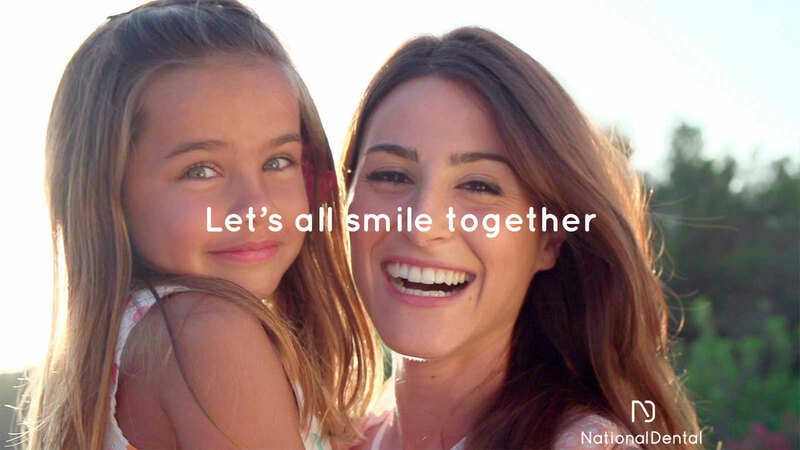 Ensuring your comfort and safety during implant surgery is of utmost importance at National Dental. Many patients wonder about what to expect with dental implants and the level of discomfort they will experience. Our doctors are certified in IV sedation dentistry so you can relax, or even sleep, during the procedure. While placing your implants, our doctors use computer-generated implant guides to direct them to the precise angle, depth and position. This takes away any guesswork and ensures your implants are placed in the most ideal location. The next phase of what to expect with dental implants is the final restoration of your teeth. Your dental crowns will be custom made to your specifications and designed to fit perfectly over your implants. These crowns will blend in seamlessly with your surrounding teeth so others will never be able to know you were ever missing any teeth to begin with. Many patients wonder what to expect with dental implant healing, but the truth is, that healing is fairly simple. For the first few weeks after surgery, be sure to eat soft foods and avoid foods and drinks with extreme temperatures. Additionally, do not drink from a straw for at least 24 hours. Patients may be sore after surgery and you may be prescribed prescription pain medication to control the levels of discomfort, although most don’t need it. You can resume gently brushing your teeth 24 hours after surgery, but should avoid smoking of any kind. Most patients typically feel back to their natural state around three days after surgery. You should schedule a follow up appointment just a few weeks after surgery so our doctors can evaluate your health and healing. 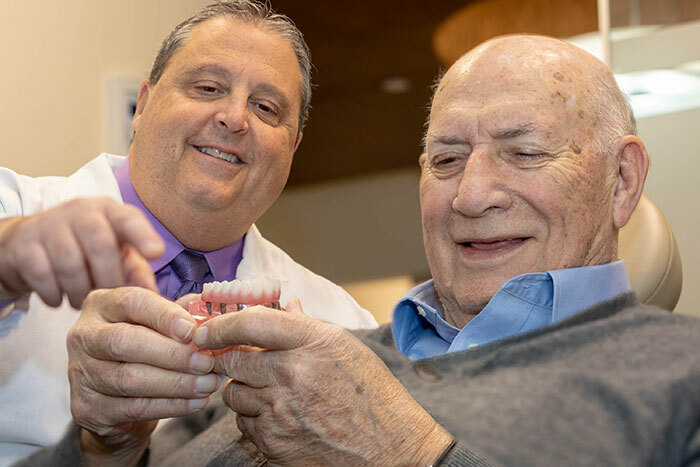 If you are interested in replacing your missing teeth with dental implants, schedule a free consultation with our team by contacting us online or calling us at (516) 535-0544.